CHESTNUTS | MICHIGAN GROWN. MICHIGAN GREAT. Naturally sweet, low in fat and calories and extremely versatile, Michigan chestnuts are not just for roasting over an open fire. 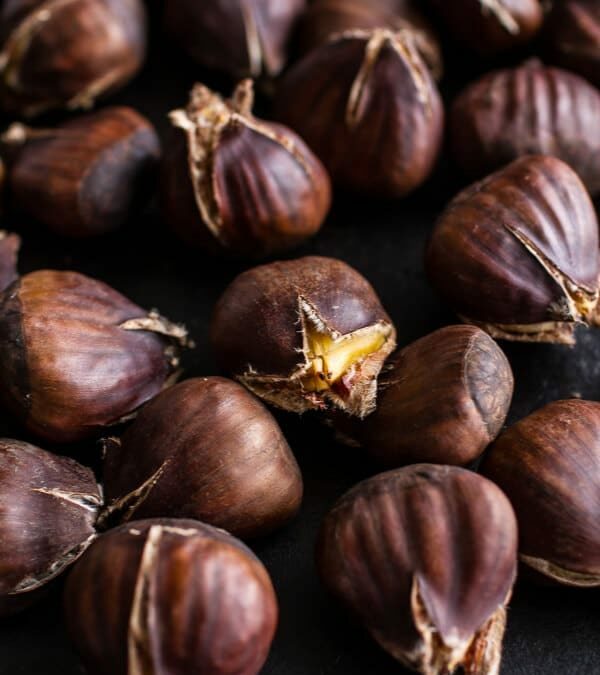 Michigan chestnuts are available in their fresh form from October to December, while peeled frozen and dehydrated chestnuts and chestnut flour are found throughout the year.